As small businesses and nonprofits grow, so does the idea of incorporating hiring employees into their business strategy to provide extra help and assistance in order to keep up with demand. However, there are important factors to take into consideration prior to hiring employees. Depending on the size and growth rate of any small business, the process of hiring employees can take a considerable amount of time and energy. Read on to learn more about 4 tips for a small business thinking about hiring employees. 1. Outsource: Instead of hiring an employee, decide if the work can be contracted out to a freelance professional. By partnering with a freelancer, small businesses and organizations can have the benefits of extra help without the long-term commitment of hiring an employee. 2. Recruit an Intern: A economical option for any business strategy, interns can provide help without hiring a permanent employee. Furthermore, interns typically require less of a financial investment as they can be unpaid or providedon a modest stipend. 3. Hire an Established Professional: If a small business is projecting major substantial growth, a smart business strategy move would be to hire a regular, permanent employee. Prior to recruiting potential candidates, consider how many hours per week you will need help and if that number is projected to increase during the course of employment. 4. Create an Employee Handbook: Along with welcoming a new employee, a small business seeking to hire help is also welcoming potential legal issues if an employee is ever terminated. Developing an employee handbook is a great business strategy to protect the legal and financial interests of a small business. Hiring employees for a small business can be essential to providing an opportunity for growth in nearly any organization. Smart planning ahead of time can save small business owners time and money in the long-run by anticipating problems before they arise. 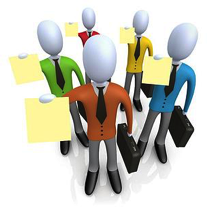 Are you thinking of hiring an employee for your small businesscompany? Contact The Wilkerson Law Office to get expert legal services for your small business or organization today!